Instant Pot or Pressure Cooker White Rice can be made with water or broth and will be on your table in less than 15 minutes with your Pressure Cooker. Making rice in an Instant Pot or Pressure Cooker, is not only easy, it is lightening fast. Whether you use a sauce pan on the stove or your favorite Rice Maker, you are going to be waiting about 20 minutes for white rice. Imagine making Pressure Cooker White Rice in your Instant Pot Pressure Cooker in just minutes! Instant Pot Pressure Cooker White Rice is so easy and without any fuss or standing over the stove! I own a Zojurishi Rice maker, which I absolutely love. It makes the best rice ever. I’ve been using an Pressure Cooker since 2004, yet still used my Zojurishi Rice maker because I was afraid to stray from perfectly delicious rice. The only problem with the Zo, is that it takes about 20 minutes. 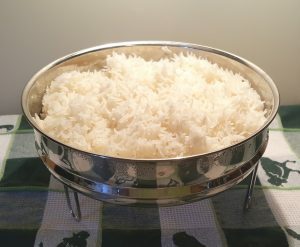 A couple of years ago, I decided to use my Instant Pot Pressure Cooker to cook Jasmine Rice. 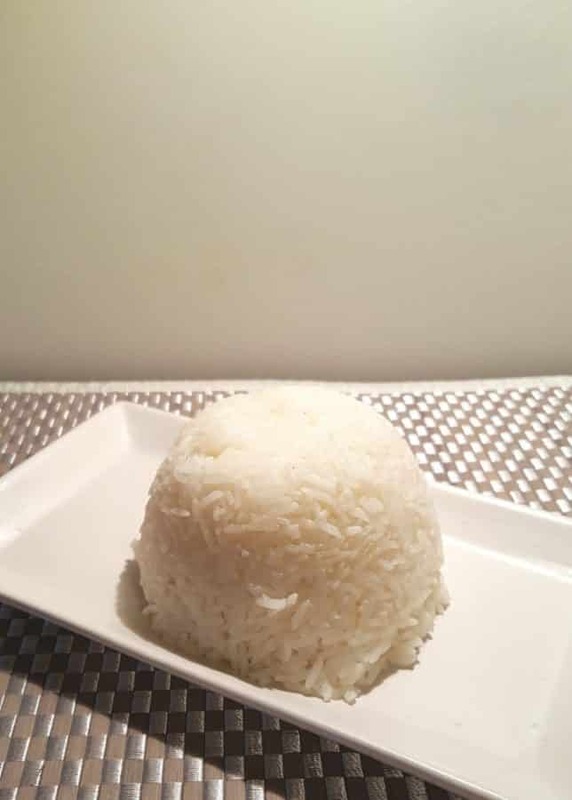 After a few trials and errors, I found that I like to under cook my rice and then let it steam (by incorporating the Natural Pressure Release method) until it was perfect. A “rice cup” is just 6 oz, so measure accordingly. A coffee cup can be any size, right? You would not use your favorite coffee cup to measure and assume it is a standard 8 oz dry or wet measuring cup. The coffee cup I use in the morning holds 10 oz of liquid. Okay, so, now you now. A “rice” cup is just that…a vessel for measuring rice. If you want to cook your rice WITH your chicken, check our my Pressure Cooker One Pot Chicken and Rice for the recipe and timing. The Natural Pressure Release Method, is to just do absolutely nothing and wait for the Pressure Cooker to release all the pressure, which takes about 10 minutes. It’s really simple. 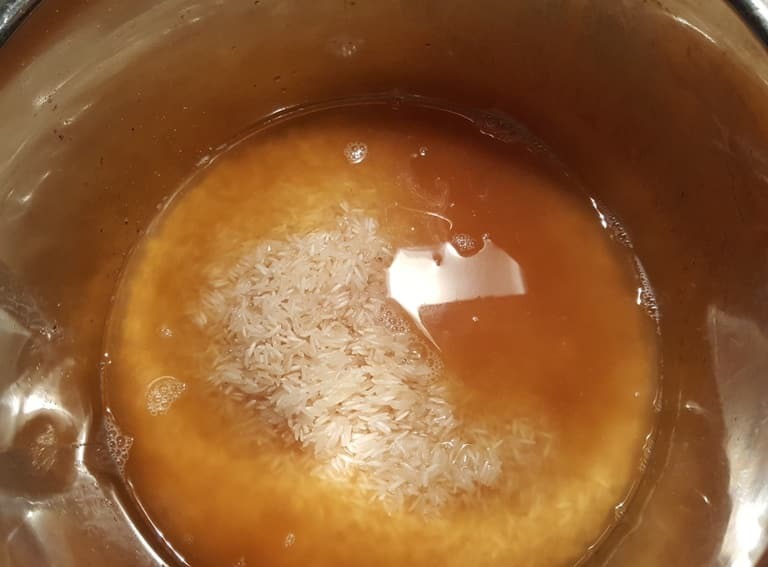 Rice, Salt and Pressure Cooker Bone Broth, or water! 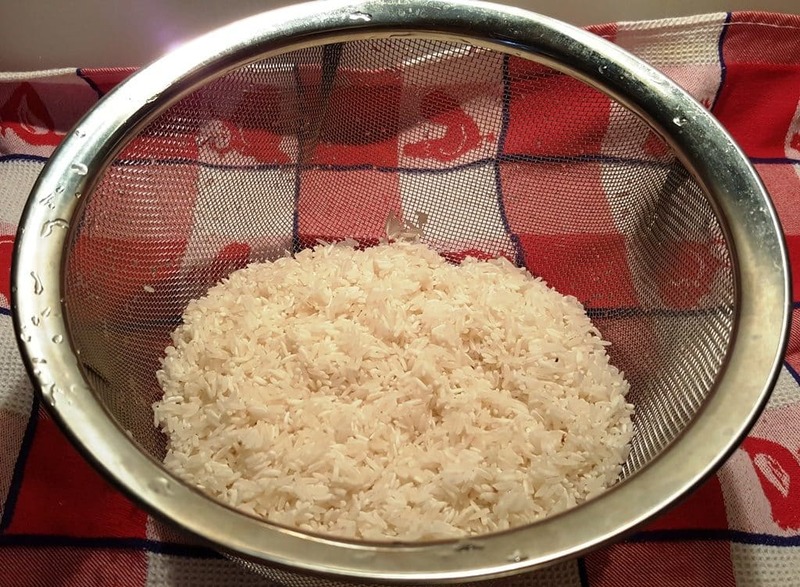 If you want more flavor to your rice, try my Pressure Cooker Ghee Rice for a toasted and buttery experience, or Pressure Cooker Thai Triple Coconut Rice. Both of those are really delicious. I love to use Jasmine rice, but any white rice will be awesome in the Instant Pot or Pressure Cooker. I love to use a steamer basket when making Pressure Cooker Jasmine Rice, so that I can heat my Pressure Cooker while the rice is draining. Plus, this Salbree Steamer Basket does double duty. It’s great for cooking vegetables. It is great for cooking pasta, so that I can lift the basket right out of the Pressure Cooker. No need for a separate plastic rice washer basket accessory! Dump the rice and Pressure Cooker Bone Broth or water into the Pressure Cooker cooking pot. Mix the rice with the liquid and then lock on the lid. See, it is so incredible simple. Just set the time and walk away. Any white rice will work for this recipe. We like to use Jasmine Rice because of the fragrance and the lovely taste. Add a dollop of Homemade Ghee for a delicious buttery taste. 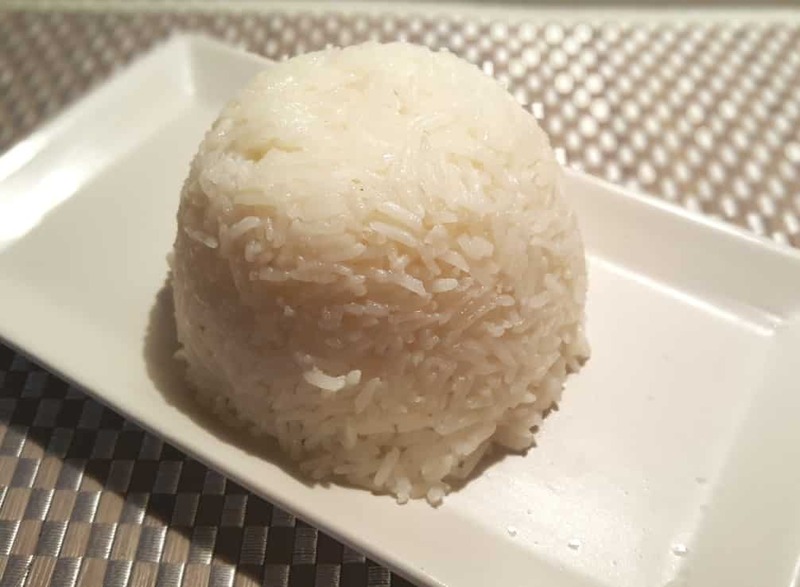 If you would like to cook your rice at the same time and in the same pot with your main course, please check out my Pressure Cooker Perfectly Cooked Pot In Pot Rice recipe for step by step instructions. Turn your meal into a one pot meal! PIN this Instant Pot Pressure Cooker White Rice, Jasmine or Basmati! Cook Time above recipe says: 3 minutes. Which cooking time is it? 3 or 4 minutes? Not absolutely clear about whether you cook the rice in the strainer/steamer basket inside the pressure cooker. After rinsing do you put the lot, rice and steamer basket in the pressure cooker? 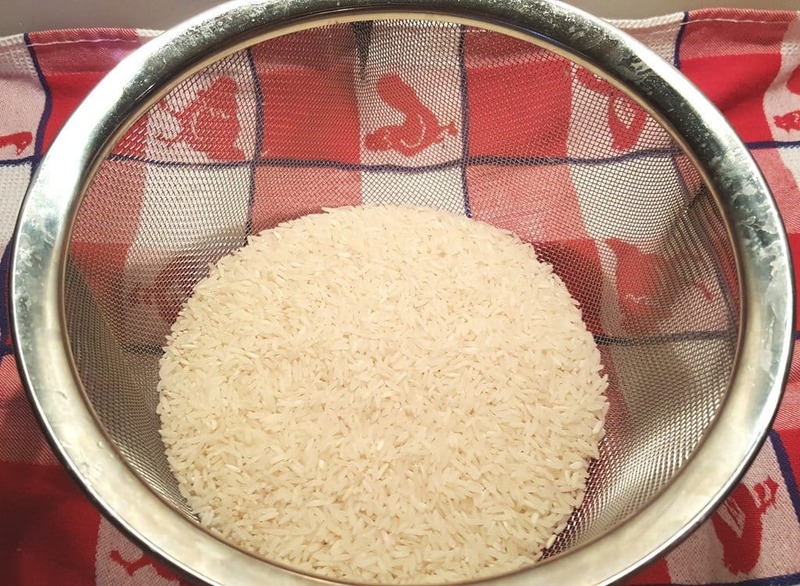 After washing the rice, just dump the rice right into the Pressure Cooker cooking pot and add the rest of the ingredients. The steamer basket does not go into the cooking pot. Do you measure the water with the rice cup too? I’ve tried using iPot for rice in the past but following a recipe it took just as long as on the stove and turned out mushy. Didn’t experiment with adjusting. Have to try this undercooking for just 3 mins. and a natural rest, I bet it’s what I’m seeking in texture and speed! 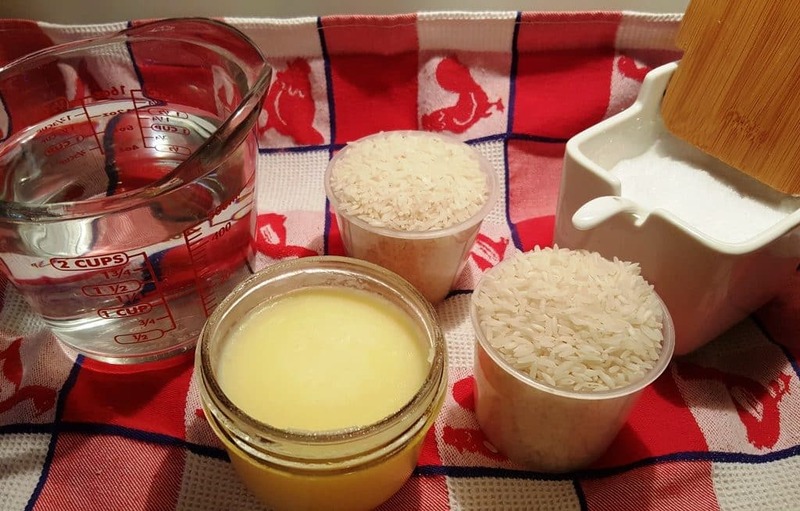 but the recipe calls for a 1:1 ratio (not 1:2 like you state) – 2 “rice cups” of rice and 2 cups of water. So is it 2 rice cups rice and 2 rice cups water or 2 rice cups rice and 2 regular cups water??? 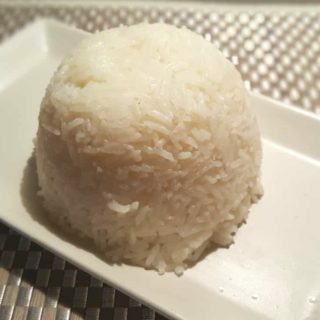 Instant Pot rice should be cooked at a ratio of 1:1 rice to water. It specifies 16 oz. of water, so that would be 2 cups of water measured in a glass measuring cup. Can you make the rice without the steamer basket? Just in the Stainless steel pot. Regular 8oz cup of water or “rice” cup of water? My Instant Pot has a Rice button, do you ever use that? How long would you cook brown rice? just did this for the first time using white rice. Came out mushy and clumpy not fluffy ???? I added a little less salt and it was just a touch to salty. It was still awesome! I used Jasmine rice. If you have never tried it, you should! I used Rice Selects “Jasmati” and made 1/2 batch. Forgot to rinse first but it still turned out perfect! Can I add the salt with the rice and water before pressure cooking? Love your recipes, they are well written and delicious. I was handed a 4# bag of Jasmine Rice and asked to make as much as I can in my 8 qt Instant Pot for a church meal tomorrow. I plan to follow your recipe but I’m a little nervous. Any tips for doing a large quantity?